The Heart of the Civil War Heritage Area (HCWHA) is an area rich in history, covering portions of Carroll, Frederick and Washington Counties. It is located just below the Mason-Dixon Line, generally viewed as the dividing line between North and South. With one foot in the north, and one foot in the south, the story of the Civil War, its causes, battles, heroes and villains … its very meaning can be told nowhere better than in this part of Maryland. 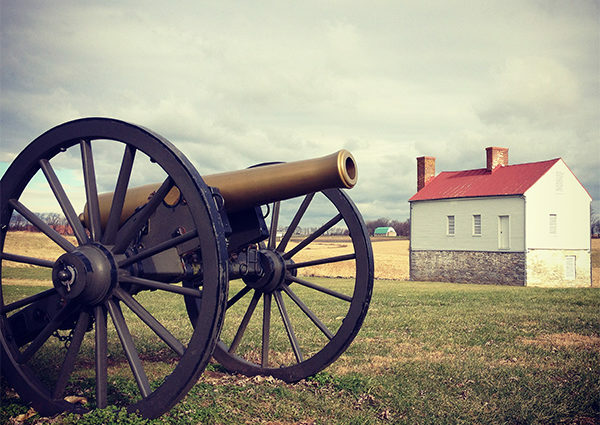 The HCWHA is ideally positioned to serve as your “base camp” for driving the popular Civil War Trails and visiting the battlefields and sites of Antietam, Gettysburg, Monocacy, South Mountain, Harpers Ferry, Baltimore and Washington, D.C. The mission of the Heart of the Civil War Heritage Area is to promote the stewardship of our historic, cultural, and natural Civil War resources; encourage superior visitor experiences; and stimulate tourism, economic prosperity, and educational development, thereby improving the quality of life in our community for the benefit of both residents and visitors. HCWHA became certified as part of the Maryland Heritage Areas Program in July 2006. It is an independent nonprofit organization guided by a Board of Directors and an Advisory Council comprised of representatives of local government units, state and national parks, private organizations and businesses, and individuals from all three counties in the Heritage Area. A number of other initiatives and programs complement and work in concert with the Heart of the Civil War Heritage area, including the Maryland Journey Through Hallowed Ground National Scenic Byway, the Historic National Road, the Canal Towns Partnership, the Chesapeake Bay Gateways Network, and the Journey Through Hallowed Ground National Heritage Area. History is how we preserve our past and inspire our future. That’s why we at the Heart of the Civil War are proud to endorse the History Relevance Value Statement. The Value Statement is comprised of seven distinct tenets delineating critical ways the study of history is essential to individuals, communities, and our shared future. The full Value Statement can be found here.